This decision lead me to one of the most amazing experiences in my life! 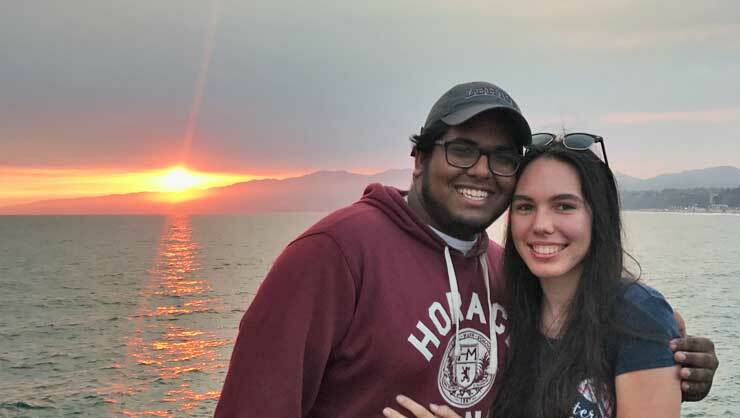 Last summer, I didn't have any plans until my fiancé Naren and I discovered American Summer Exchange. We looked through the locations that were offered and grew interested in the program. We applied quickly, and shortly after started getting ready to go to Yellowstone National Park for the summer. I learned how to work in a team. I had no idea that this decision would lead me to one of the most amazing experiences in my life. Working in Wyoming at the Yellowstone General Store was my very first job. It was weird and scary at first, but I learned how to work in a team (not just for a school group project, but to run a whole store! ), how to establish myself in a workplace, how to deal with bosses, difficult customers, picky customers, messy customers, and so on. 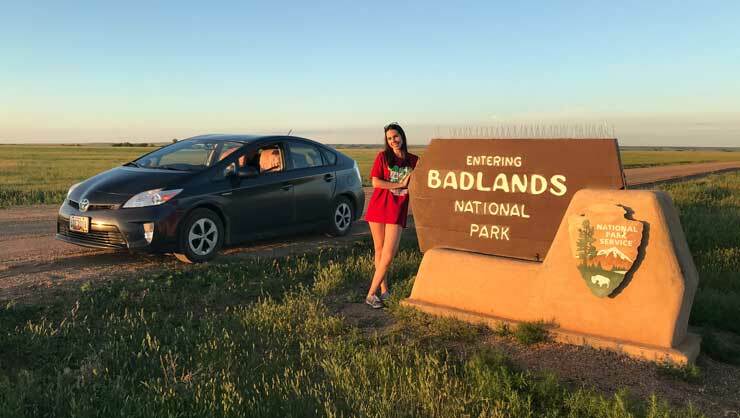 Naren and I decided to drive rather than fly, so my Prius, Naren, and I headed out to drive across the country. As for learning outside of my job, I really outdid myself this time! I never really considered how big the United States actually is and how many cool places there are here. Naren and I decided to drive rather than fly, so my Prius, Naren, and I headed out to drive across the country. Driving from New York to Wyoming showed me a completely different perspective of the U.S., as I’d never been past Pennsylvania. 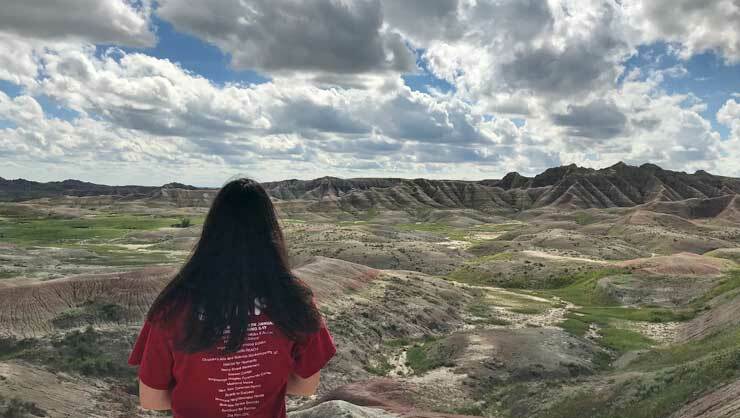 I saw vast farming fields, Chicago at night, Mount Rushmore, the genuine Wild West with guns being sold at Walmart, and then hit pure wilderness when we came to Yellowstone. The most valuable knowledge I gained this summer was of nature and the country that I live in. I got to see things I could only imagine before. I got to see things I could only imagine before. 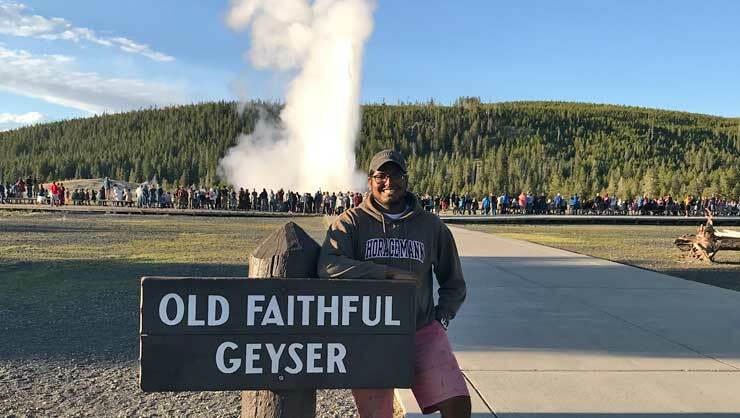 While working at Yellowstone, I met so, so many international students, and it was a blast! Off the top of my head, I met students from Croatia, Lithuania, Colombia, Taiwan, Romania, France, Turkey, Albania, Dominican Republic, Poland, and Russia. There were also other Americans, each from a state that was not New York. Living in the dorms had me in culture shock while still being in the U.S. It was amazing — people offered me snacks from their countries, and some Taiwanese girls even made me bubble tea, which I love very much. We went on trips in and outside of the park, and got along very nicely. Everyone at Yellowstone General became like family. Naren and I became quite close with two Croatian girls, Eva and Matea. We hung out together more than any other people, often traveling to Walmart after our shift ended, as well as hiking and exploring the park (trying to spot wildlife and visiting geysers!). 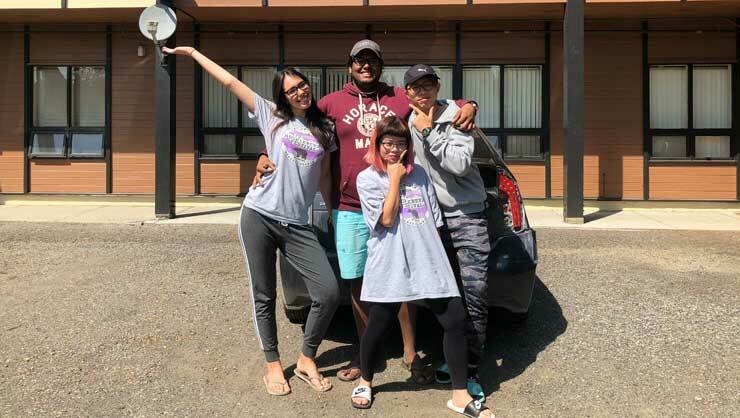 We became such good friends that we decided to meet in New York at the end of September, when they finished their Work and Travel USA programs. I got to be their personal tour guide for a week, and not just for New York City — we went to Boston and Washington, D.C. as well. We hiked and explored the park, trying to spot wildlife and visiting geysers! After we finished with our summer jobs, Naren and I went on to explore the West Coast from the very top to the (almost) very bottom. 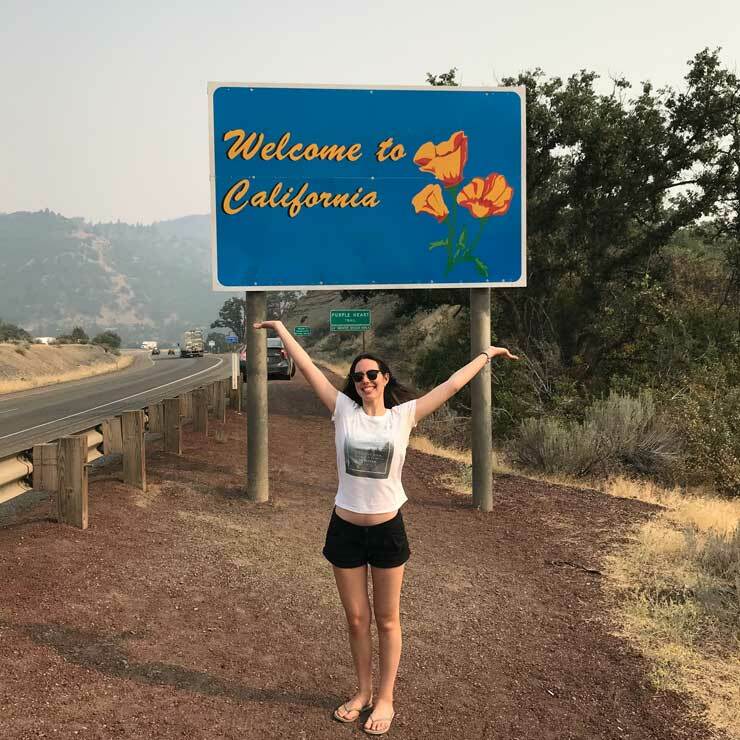 We drove from Yellowstone to Seattle, Portland, Sacramento, San Francisco, and Los Angeles. The drive from San Francisco to Los Angeles was absolutely beautiful, since we took U.S. Highway 1. We stayed two days in LA, and after that drove back to New York in 48 hours. Naren and I went on to explore the West Coast from the very top to the (almost) very bottom. 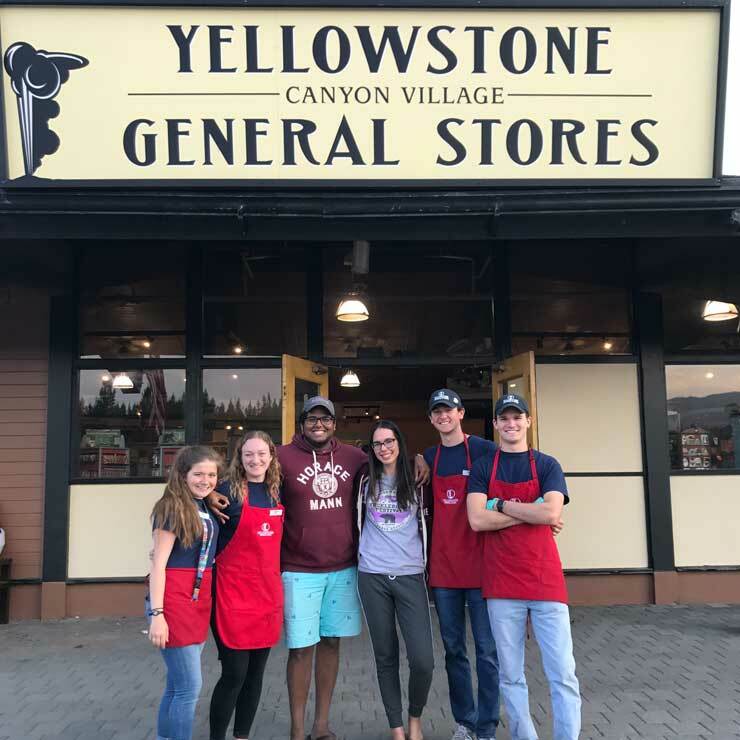 The most difficult part of this program was leaving — everyone at Yellowstone General became like family. We were taking pictures up until we drove away from the parking lot in front of the General Store. I didn’t want to leave the park itself either — there were some parts of it that we never got to explore. But I told myself that I will definitely go back sometime, and it was a little easier to leave after that. The most valuable knowledge I gained this summer was of nature and the country that I live in. Working with people from InterExchange was awesome. Kevin McGowan answered all of our questions and provided us with guidance during our application to the program, and then once we arrived and settled in. During our stay, Clay Lewis came to visit us right at our store in Canyon Village. We spent an hour with him just talking about our experience at the job and at the park, and then took pictures in front of the store. 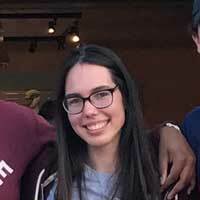 My experience on American Summer Exchange is absolutely impossible to sum up in a brief blog post, and I have much more to tell. What I described here were a few memory flashes from last summer. I loved it so much. Yellowstone and American Summer Exchange have given me enough impressions to last a lifetime! 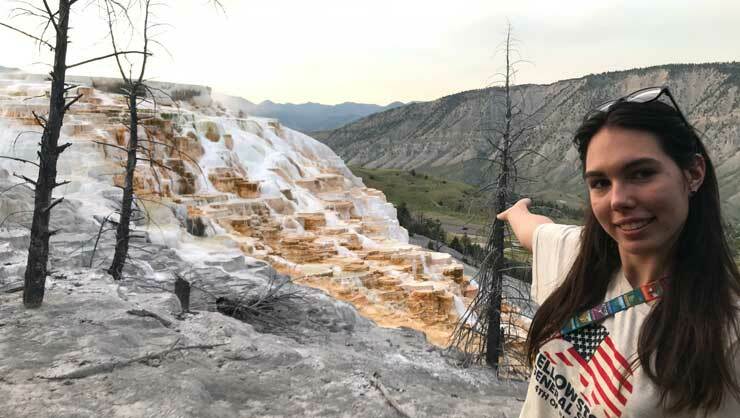 Originally from New York, Katherine worked at Yellowstone National Park in Wyoming as a participant on the American Summer Exchange program.